Check out the new skins for Overwatch's Halloween Terror event – AiPT! 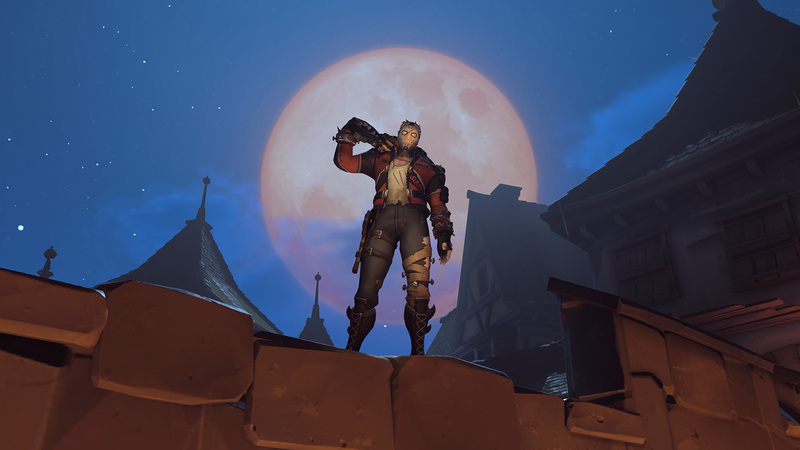 It’s October and you know what that means Overwatch fans, Blizzard is celebrating Halloween the only way they know how — with the Halloween Terror event! Junkenstein’s Revenge is back and players can enjoy the incredibly popular seasonal event until October 31. A host of cosmetic awards are available through loot boxes, Overwatch credits and by completing Junkenstein’s Revenge on varying difficulties. Blizzard has been teasing fans for the last week on Twitter with images of the new skins players can obtain during this year’s event. There’s five legendary skins available at 3,000 Overwatch credits a pop and three epic skins available at 750 Overwatch credits. If you don’t have enough credits to purchase all the skins you want, you can always try your luck with loot boxes. Check em’ out for yourself below. Spider Widowmaker is an Epic skin that will cost you 750 credits. Banshee Moira is a Legendary skin that will cost you 3,000 credits. Enchanted Armor Pharah is a Legendary skin that will cost you 3,000 credits. Swamp Monster Doomfist is a Legendary skin that will cost you 3,000 credits. Pumpkin Mei is an Epic skin that will cost you 750 credits. Bride of Junkenstein Sombra is a Legendary skin that will cost you 3,000 credits. Slasher: 76 is a Legendary skin that will cost you 3,000 credits. Undead McCree is an Epic skin that will cost you 750 credits. What happened when ‘Black Panther’ writer Christopher Priest met Chadwick Boseman for the first time?